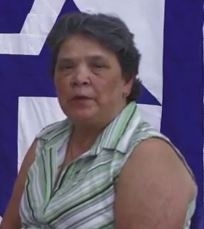 The Mitchif, French Cree people (also known as the Michif, Mechif, Michif-Cree, Métif, Métchif, French Cree, Metis) are a First Nations people scattered in Canada and a Native American people in the United States who are the descendants of Cree, Nakota or Ojibwe women and fur trade workers of European ancestry (mainly French Canadians and Scottish Canadians). Their language, Michif, is spoken in scattered Métis communities in the provinces of Saskatchewan and Manitoba in Canada and in North Dakota in the United States. The majority of Michif speakers reside in the United States with a very small minority in Canada. Revitalization o the language is taking place. Mitchif are also conversant in English. They reside on the Turtle Mountain Reservation on northern North Dakota. The Mitchif who do claim a religion are either Roman Catholic or practice ethnic religions. Many, though, live a more secular lifestyle. Pray Mitchif will come in contact with Christians who will share in word and deed the message of Christ. Pray that God will reveal to Mitchif that Jesus Christ is the free gift of grace of God and cannot be earned through one's good works. Pray God will create unrest within the hearts and minds of Mitchif concerning true peace and abundant is found through a personal relationship with Jesus Christ.